The National Investment Banking Association (NIBA) was proud to host its 136th investment conference on October 12-14, 2015 at the Westin New York Grand Central. This must-attend event provided unique opportunities for broker dealers, investment bankers, fund managers, RIAs, and capital market service providers to make valuable industry connections. Our event showcased private and public companies seeking access to the financial industry. NIBA conferences take the “road out of road-show.” Companies first present formally to hundreds and then have the opportunity to meet privately and have in-depth one-on-one meetings with interested parties. Don’t miss the next NIBA conference! Videos of NIBA 2015 October New York Conference Speaker Neil Kaufman – “Attracting Capital” and NIBA 2015 October New York Reg A Panel – “Reg A + Cutting Through the Clutter” have been posted on the NIBA Blog. These videos are also available on our NIBAVideo YouTube channel. mark@tripointglobalequities.com Medite Cancer Diagnostics, Inc.
BetaZi creates state-of-the-art production forecasting solutions for the Oil & Gas Industry using physics-based predictive analytics. BetaZi has been vetting its new science and providing meaningful intelligence to producers and financiers since 2012. Having modeled over 400,000 wells, we know that our automatic results are accurate and useful for decision makers from the oil patch to the board room. Using cutting-edge technology, BetaZi helps clients make confident, profitable decisions for their assets in record time. 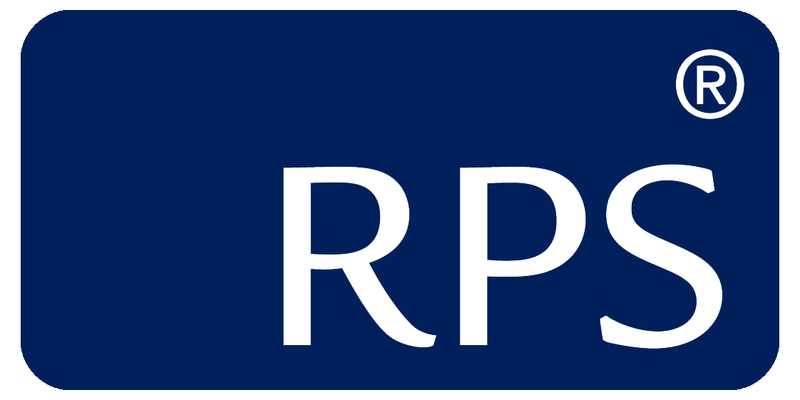 RPS is multinational energy resources and environmental consultancy company providing independent techno-commercial advice and services to the energy and other industries and the financial institutions that support and invest them. RPS has an extensive track-record supplying Competent Persons and Reserves Reports as well as working closely with accountancy and legal in transaction advice teams. For oil and gas, the amalgamation of BetaZi’s cutting edge computer science combined with RPS’ oil-field and engineering experience provides a unique and potent service capable of delivering real insight throughout the deal-cycle from pre-screening target acquisitions through to deeper-dive due diligence and post-deal surveillance and risk mitigation. Founded in 1977 and based in Lawrenceville, New Jersey, SZAFERMAN LAKIND BLUMSTEIN & BLADER, P.C. is a full service law firm which holds Martindale-Hubbell’s ™ highest rating of AV, and has been ranked a Tier-1 Law Firm by U.S. News & World Report in its 2014 Best Law Firms edition. The firm is proud to have been recognized by New York Magazine as one of the New York Area’s Top Ranked Law Firms. Szaferman Lakind consists of four primary practice groups: general litigation, family law, personal injury and business. Our attorneys work together across practice areas to provide effective guidance to our clients, whether individuals, families, businesses or investors. We take pride in developing creative, cost effective solutions to achieve our clients’ goals. Contact: Gregg Jaclin, Esq., 101 Grovers Mill Road, 2nd Floor, Lawrenceville, New Jersey 08648. Telephone 609-557-0951. Email: gjaclin@szaferman.com. Traditionally, only institutional investors were given a chance to invest in public offerings. Individuals had to rely on secondary markets and were rarely given a chance to get the first bite in these deals. BANQ is the internet marketplace that is reinventing the primary capital markets. We are giving meaning back to public offerings and enabling the crowd to participate in deals from a qualified network of investment banks. Our base of qualified investors will get the first look and opportunity to invest in deals by fast-growth companies with promise of liquidity through dividends or public markets. Contact: Mark Elenowitz, 130 W 42nd Street, 10th Floor, New York, NY 10036. Telephone: (212) 732-7184. Email: mark@tripointglobalequities.com. Founded in 1968, Ruskin Moscou Faltischek has since emerged as the preeminent Long Island law firm. For over 45 years, Ruskin Moscou Faltischek has consistently evolved and expanded to meet our clients’ changing needs. As specialized as we are diverse, we have built cornerstone groups that represent all major practice areas of law including: corporate & securities, financial services, commercial litigation, health care, real estate, employment, and trusts & estates. We service a diverse and sophisticated clientele that includes large and mid-sized corporations, privately held businesses, institutions and individuals. With more than 60 attorneys, superior knowledge of the law, polished business acumen and proven credentials, Ruskin Moscou Faltischek has earned a reputation for excellence and success. It is this ongoing achievement that makes us an acknowledged leader among our peers and the preferred choice among business leaders. Contact: Kristen Edelman, 1425 RXR Plaza, Uniondale, NY, 11556. Telephone: (516) 663-6600. Email: kedelman@rmfpc.com.